Chocolate Crinkle Cookies - Day 13! - THE OLIVE BLOGGER - Recipes your family will love! Chocolate Crinkle Cookies – Day 13! Here is it guys, the very last day of our 13 Days of Christmas Baking…until next year anyways!! This Chocolate Crinkle Cookie recipe is another classic, one that I truly believe you need to make (and will WANT to make) year after year once you have had a taste! They are topped with Peppermint Kisses which go perfectly with the chewy chocolate cookie, and add a nice festive touch. Now, if you have been following along you will notice this post is 2 days late and with good reason! We were baking up a storm all weekend so that we can bring you even MORE goodies over the next couple weeks!! You didn’t really think we were done for the season did you?! I can’t tell you how excited I am to share some of these new treats with you, and if you are looking for a sneak peak of what is in store…well…just one: Shortbread Macaroon Bars!!! Yum! Ready to get baking?! Check out the original post for these Chocolate Crinkle Cookies here! 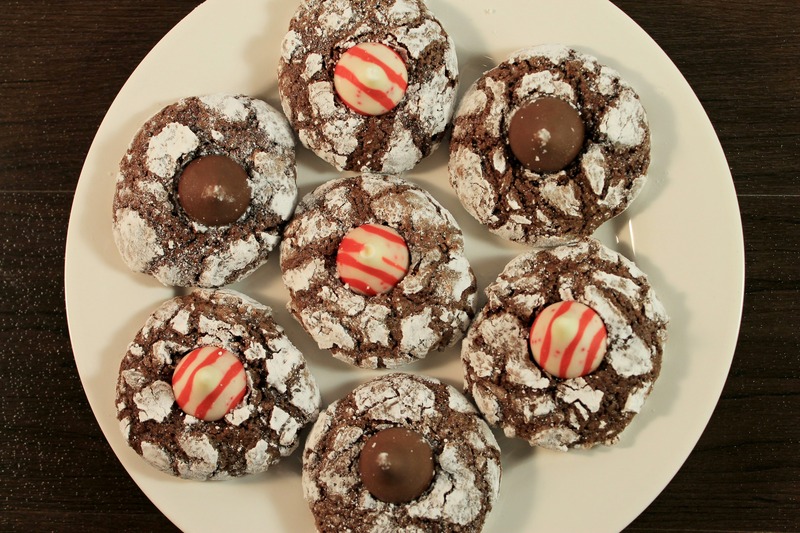 Chocolate Peppermint Crinkle Cookies – a chewy chocolate cookie topped with peppermint kisses! Thanks Casey!! It isn’t Christmas here until we have these made!! !